Here for the full article. Remove communication barriers. People communicate in different ways, so we do social styles analyses to help people understand how their teammates tend to communicate. Are they a driver, amiable, expressive or analytical? They learn that it is not that Harry is necessarily overbearing, but that he tends to lead with ideas, it is not that Susan isn't on task, but she tends to consider people first. Once you understand why people are different, you can laugh about it — rather than get frustrated — and it becomes a way for the team to bond, rather than a reason for breakdown. The forum for this debate is the project room. This is a dedicated space teams use from conception to execution. Of course project rooms should be good a place to work, with natural light, plenty of space for the whole team and what they are working on, lots of pinup space for the voice of the consumer to come alive in the room, whiteboards for new ideas, and good audio and video connections to team members in other parts of the world. A well-designed space helps the team to stay focused. But the project room should not isolate the team. It should connect it to the company as a whole: Glass doors and big internal windows enable more people to see what is going on, comment on it, add to it, and appreciate it. And put project rooms at the center of action in the company. In many companies, project rooms are set up in the low-rent district of their buildings. I hate to admit it, but many of our project rooms at Continuum were kind of pokey, too. So we moved our executives out of their offices and turned those spaces into project rooms. Since innovation is the core of our proposition, it should be at the core of our environment, too. Project rooms don't belong in the basement; give them some respect. Move the CEO out of his office and make that a project room. Innovation doesn't stop once you have an idea. Innovation is the creation and the delivery of new value. There is also the challenge in getting those ideas to market. At some point the ideation team has to hand off to the commercialization team which is responsible for the later stages of the innovation process: development, production, training, etc. And that handoff can go wrong. The commercialization team may not fully believe in the idea, and if their heart is not in it, nor is their mind. But more insidiously, the commercialization team may be too uncritical and launch the idea exactly as conceived. This is the biggest trap. When we look at successful innovation, yes, the product or service as launched is similar to the original idea. But it is not identical. So design teams with this handoff in mind. Make sure that there is an extended team of stakeholders who have responsibility for the entire innovation process. And make sure there is at least one person from the commercialization team who starts off in the ideation team. They will feel ownership of the idea, and more importantly, having been part of the deliberation process in the conception phase, will be more comfortable continuing to creatively evolve the idea in the right way as it is commercialized. Sometimes the difference between the idea and the reality is small, but as my friend Beatriz Lara, Chief Innovation Officer of BBVA likes to point out, the difference between the DNA of a chimpanzee and a human is less than 1%, but it is an important 1%. Successful ideas are not born in secret: they emerge from open and vigorous dialog around new information, and then they are actively pulled into the market by a commercialization team rather than being pushed by an ideation team. In the intensity of the innovation process, it's easy to divide into a world of "us" and "them." But to innovate well, teams must be permeable, inviting the outside in and engaging the broader community to transform an idea on a napkin into a new product or service in the marketplace. Communities benefit when formerly incarcerated individuals are able to effectively reintegrate into their neighborhoods. But all too often, people who have been convicted of crimes face difficult employment challenges when they are released. Two out of three incarcerated adults had jobs before they went to jail, but we’ve seen that incarceration can reduce their earning potential by as much as 40 percent when they get out. If people are unable to secure jobs when they are released from incarceration, they cannot support themselves or their families – and there’s an increased chance that they will return to a life of crime. Nationally, recidivism rates are substantial, but for participants in the Labor Department’s Reintegration of Ex-Offenders program, the recidivism rate is just 14 percent. This initiative’s success is something we’re proud of – and poised to build upon. On March 21, the Bureau of Labor Statistics released its 2011 report on the unemployment situation of Veterans. Unfortunately, some news outlets and Veterans organizations have keyed on a single statistical measure—the mean (average)—that, when taken out of context, is a bit misleading. For that reason, it’s important to look at the bigger picture and note what’s actually happening: While we still have a long way to go, the unemployment rate for Post-9/11 (Gulf War II-era) Veterans is—and has been—in an overall downward trend since January 2010. In covering the BLS report, one news headline blared, “Unemployment Rises for Afghanistan and Iraq Era Veterans.” Another called the situation “bleak.” And one Veterans organization called the report “discouraging.” But, in fact, these reactions aren’t entirely accurate. Below, charts demonstrate the reason why. Using social media to accomplish a meaningful purpose involves more than providing new technology and praying for success. Successful mass collaboration places new requirements on an organization, particularly its managers. While many organizations are technically ready for social media, they should question the readiness of managers to embrace new ways of working collaboratively to achieve social success. Why? Because social media and mass collaboration fundamentally challenge the relationship between responsibility, resources, and management. Normally, managers accept responsibility provided it comes with control of the resources required to deliver on that responsibility. The connection between responsibility and resources sits at the heart of management authority, control, accountability, and organizational design. Look at an organization chart and you will see the distribution of resources and responsibilities — the currency by which managers measure themselves and compare themselves to their peers. Gov. Andrew Cuomo will send a team of officials from at least six agencies — including the departments of State, Labor, Taxation and Finance as well as Empire State Development, State Liquor Authority, and the Workers Compensation Board — to every region of the state to talk about rules and programs intended to help small businesses. The program is a subset of the state’s economic development efforts; it’s dubbed NY Open for Business. One of the first sessions will be held in the Capital Region on 6 p.m. Wednesday, April 4, at Schenectady County Community College, 78 Washington Avenue in Schenectady. For more information on the sessions and the initiative, visit HERE. A new private-public collaboration will help small businesses strengthen their revenue streams by gaining access to more than $300 billion in combined supply chain spending by a consortium of 15 of America’s largest corporations, the U.S. Small Business Administration announced today. Supplier Connection, created by the IBM Foundation, is part of the Obama Administration’s American Supplier Initiative and is designed to help bridge the gap between small, nimble businesses looking for new opportunities and large corporations looking for innovative new ideas and diversity in their supply chains. Mills today sent letters about Supplier Connection, a new tool to help small businesses access private sector supply chains, to more than 50,000 small businesses that currently participate in small business federal procurement programs. Studies have shown that small businesses that are part of large corporations’ supply chains experience increased revenues and employment. SBA is committed to helping small businesses identify new tools and resources to become part of these supply chains. Supplier Connection is a free, online portal created by the IBM Foundation that allows small businesses to send information about their products and services to 15 large private sector companies. The 15 companies participating in Supplier Connection are: AMD, AT&T, Bank of America, Caterpillar, Citi Group, Dell, Facebook, IBM, JP Morgan Chase, John Deere, Kellogg’s, Office Depot, Pfizer, UPS and Wells Fargo. Together, these 15 companies have a combined purchasing power of $300 billion and now they will have full access to the profiles of small businesses that have registered for Supplier Connection. The American Supplier Initiative is a call-to-action to the private sector to invest in their supply chains through small businesses. The initiative aims to address four key areas in which small business need help in order to become successful suppliers in the private sector: access to mentorship and counseling services, increased market and revenue opportunities, ready sources of capital to fund their growth, and a highly skilled workforce. • SBA’s International Trade Loan expansion – This program provides small businesses with capital to finance their fixed assets, including real estate, and working capital needs. This program offers private lenders a 90 percent guarantee on loans up to $5 million as an incentive to encourage lending to growing small businesses. Small businesses may use the ITL program to on-shore and help bring jobs back to the U.S.
• Export-Import Bank’s Global Credit Express Product – This product is specially designed to deliver short-term working capital loans directly to creditworthy small business exporters. Through this new program, exporters may be eligible for a 6- or 12-month revolving line of credit of up to $500,000. • CAPLines – SBA’s CAPLines program was recently revamped to help small businesses meet their short-term and cyclical working capital needs. Identifying ways to strengthen small and medium-sized manufacturers is a priority for the administration and additional announcements under the American Supplier Initiative are expected to be rolled out in the coming weeks and months. For article on SBA's website click HERE. The Great Recession reset the world economic map. Suddenly, with the bulk of the world’s economic growth transferred beyond the borders of a recession-mired West and into emerging markets, American metropolitan areas and the nation as a whole were left to cast about for new sources of growth. This second edition of Export Nation updates and builds upon the results of the first analysis to examine changes across the metropolitan export landscape in 2010, the first year of the nation’s economic recovery. Turns out successful businesses aren't concerned only with their bottom line..
Ethisphere Institute, which compiled the list, says it based its rankings on the following factors: ethics and compliance programs; reputation, leadership and innovation; governance; corporate citizenship and responsibility; and culture of ethics. Selling Online – Is It a Hobby or a Business? Are you doing business on the Internet? Selling on eBay? Promoting or advertising someone else’s products on your website or blog? Online money-making opportunities are plentiful – from selling your old books via online auction to promoting products and services for online merchants, or becoming an online merchant yourself. But at what point does this mean you are in business yourself and, since you are making money online, what are your tax and regulatory obligations? Organized groups of do-gooders — "cash mobs," modeled after public-spectacle "flash mobs" — are descending upon small businesses, snapping up merchandise and rallying at pubs afterward to celebrate their pro-community mission. The shopping sprees have taken place in dozens of cities from San Diego to Buffalo. The packs organize on platforms such as Facebook or Twitter, where they get details on where and when a strike will occur. Farmers markets, toy retailers and hardware stores have been on the hit list. Mob members typically spend at least $10 to $20. Great communication is a key to being a good leader. Communicating with the entire team can be a challenging thing to take on. An article posted in linked in highlights several key areas in which a leader can increase the level of communication with employees at all levels of the organization. The improvement in communication with employees will result in higher employee engagement. This blog post will highlight five key areas any leader can concentrate on to improve his or her ability to communicate more effectively. "Do you have a blog for your small business? You should consider it. Blogging enables you to build credibility, expertise and thought leadership in and around your business. It is also a great way to showcase information about your product or service in a way that provides you flexibility to add information on-line without having to make changes to your primary website. Given all of these advantages the biggest challenges in blogging typically revolve around generating ideas to write about and the time to create posts." I would add that you can take your blog and post the link on your Twitter or Facebook page. You DO have one, right? All businesses claim to be customer-centric. You'll see signs on the door that the customer is "the center of our business," or "always right," or maybe "our most important asset." We know from experience that only some businesses manage to rise above the noise to give us great "user experiences" and truly "customer centric" service. Today's panel on "All about You Them: The User Experience" at Inc.'s GrowCo conference brought together two women whose businesses not only strive to put the customer at the center, but also their businesses absolutely depend on that occurring. Employment in New York: Who Creates Jobs? Here is a http://www.labor.state.ny.us/stats/PDFs/enys0212.pdf the February 2012 Employment in New York State newsletter. Note the lead article, "Who Creates Jobs?" • How large is a “small” business? • How do we measure “job growth”? • Is the age of the business considered? 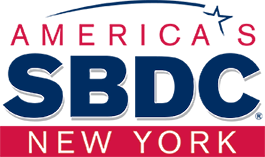 This article takes a closer look at the issues outlined above, using New York State data from the Census Bureau’s Business Dynamics Statistics (BDS). Governor Andrew Cuomo launched the FreshConnect program in 2011 to create new farmers' markets and provide support to existing ones. In addition to providing farmers a consumer outlet, the FreshConnect program helped create local jobs for youth in urban areas and facilitated an increase in the sale of locally-grown food. After the success of last year's program, the initiative is now expanding to include not just farmers' markets, but other innovative projects that connect underserved communities with New York farm products. Click here to learn more. Grants for potential FreshConnect projects will be awarded on a competitive basis and can be applied for here before April 2, 2012. The FreshConnect program is helping to bridge the gap between farmers and underserved consumers, while creating local jobs and meeting the needs of all New Yorkers. Think about it: Most customers will hear your business name before they know anything about your products or services. Like all first impressions, you only get one, so you better make it count. Collecting sales tax is one of the most confusing aspects of transacting business – online and off! Whether you’re starting a new business or expanding into e-commerce, here’s what you need to know about your sales tax obligations. The JM Internet Group, a leader in providing Search Engine Optimization (SEO) training online, is proud to announce that the 2012 edition of their SEO Fitness Workbook - a leading book on Search Engine Optimization - is available free of charge as a review copy up to April 1, 2012. The new SEO book charts how to get a company or organization to the top of Google and Bing step-by-step and includes access to the SEO Toolbook, a compendium of over 100 amazing free search engine optimization tools for small business. According to the Labor Department, more than 400,000 manufacturing jobs have been created since the start of 2010. America’s small manufacturers are a critical part of that. BLS and Census data reports that 98 percent of America’s manufacturing firms are small. More than one in three Americans who work in manufacturing, work at a small business. First of all, there are a limited set of topics that are protected -- in other words, you may not make hiring decisions based on these considerations. The good news is that the list is quite short and is mostly obvious stuff that common sense would dictate is off limits. Sometimes, though, applying this list in real-world situations can be confusing. Building a community around your startup can be one of the cheapest ways to create momentum for your product. A community is much more than a one-time marketing campaign, and can help you throughout your company’s life cycle if you take the time to grow it right. HERE are 10 tips for getting started.